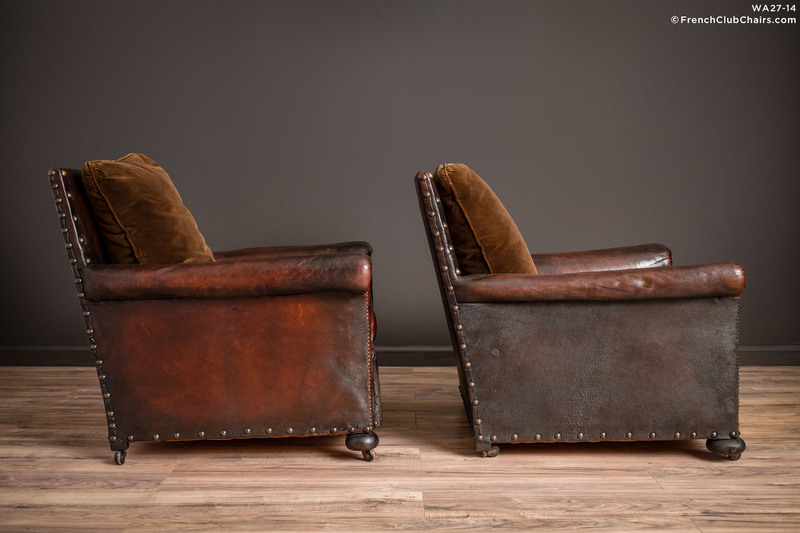 This inviting pair of French nailed head leather Club chairs have all original leather and handsome velvet back cushions. Circa 1930s. measurements: depth-36", width-32", height-34", seat depth-21", seat width-17", seat height-16"